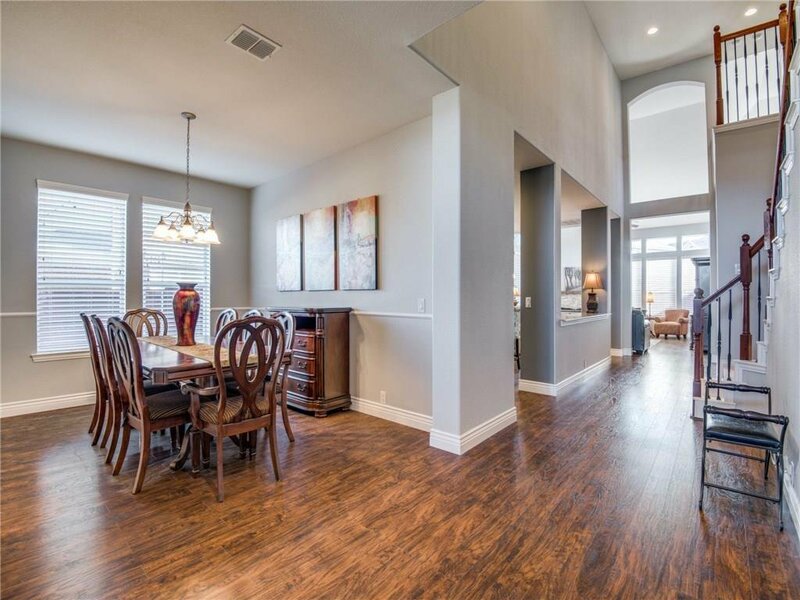 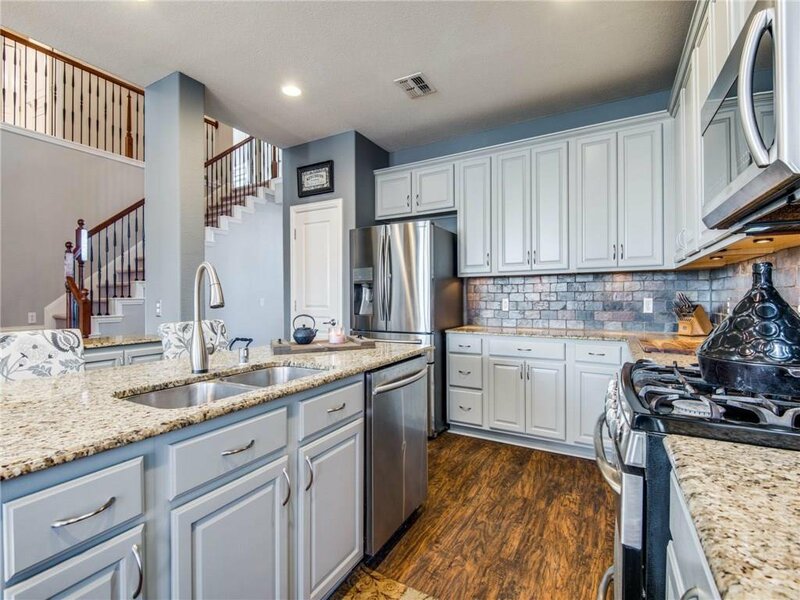 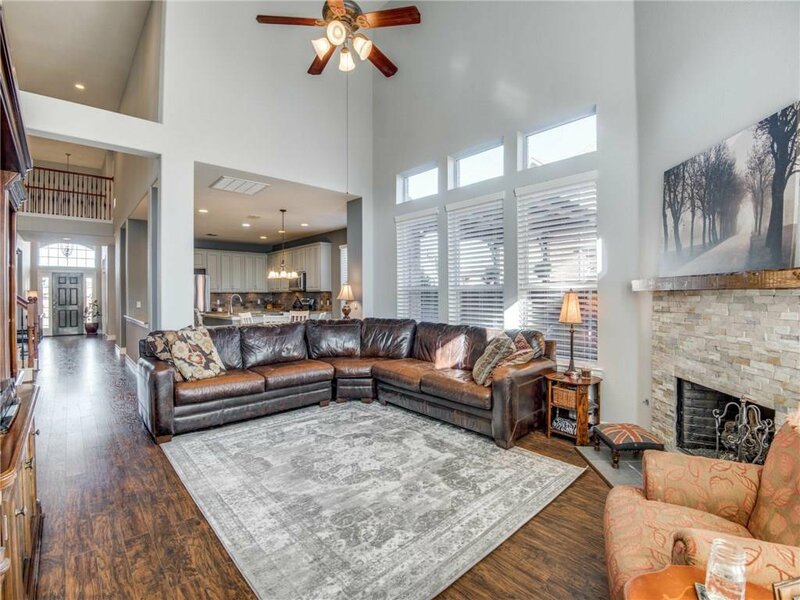 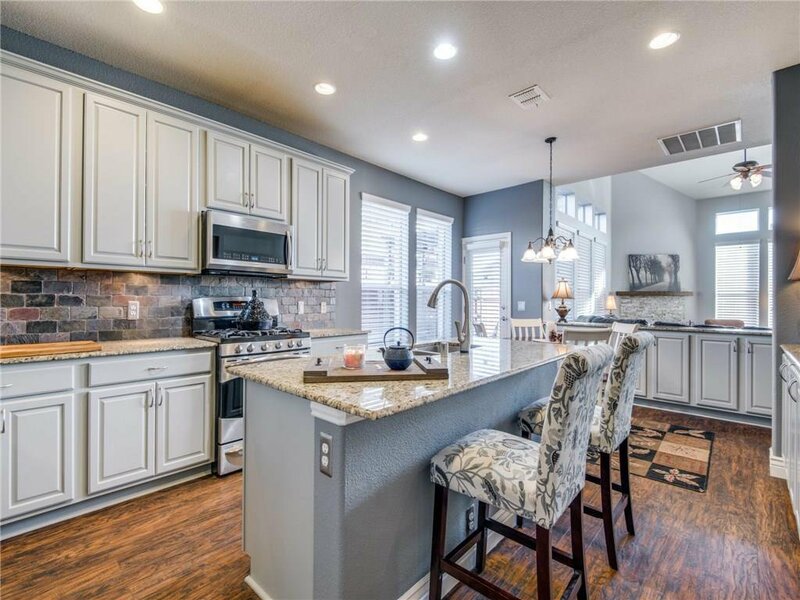 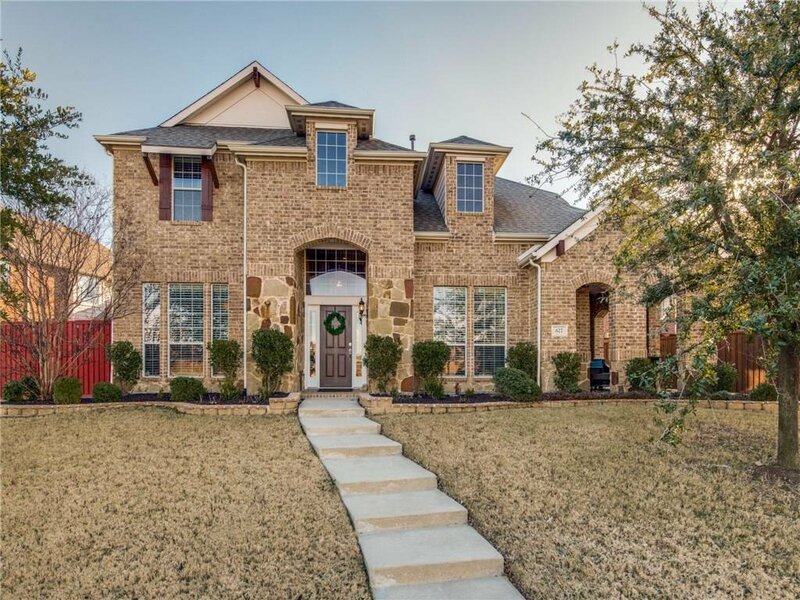 Overlooking Greenbelt, meticulously maintained 5 bedroom 4 bath home in Frisco ISD. 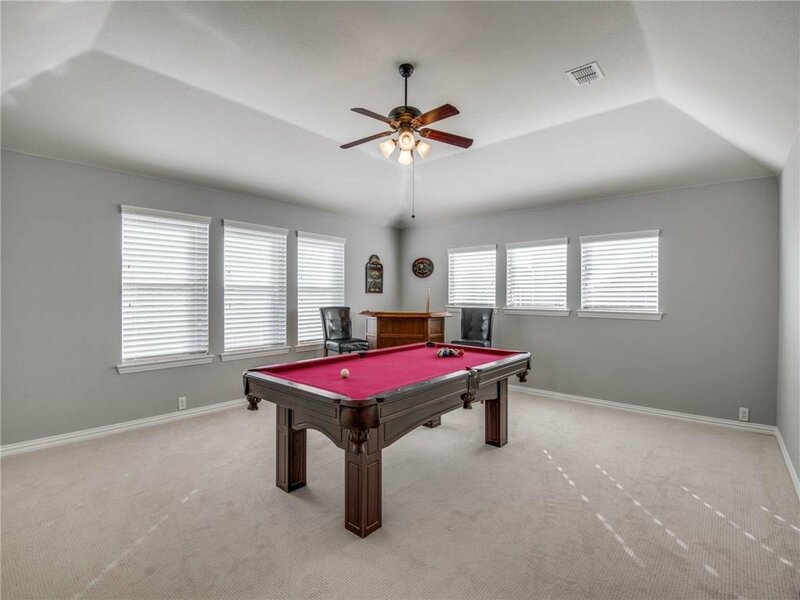 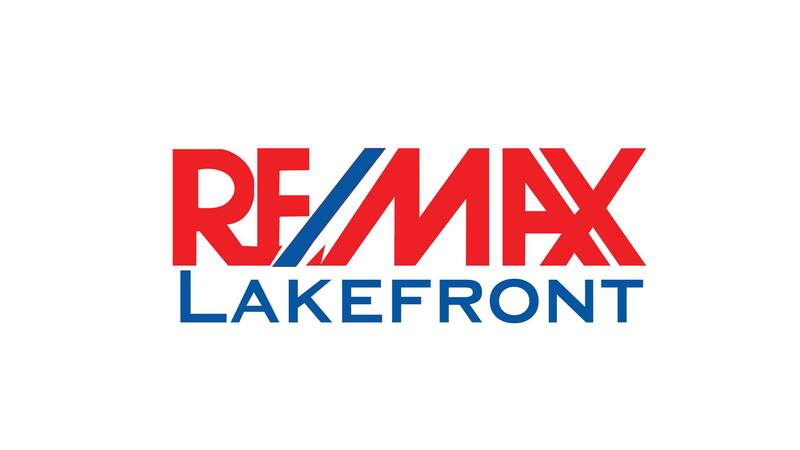 Recent updates include new carpet, paint, kitchen remodel with granite and stainless appliances, hardwood floors downstairs with the exception of the guest room. 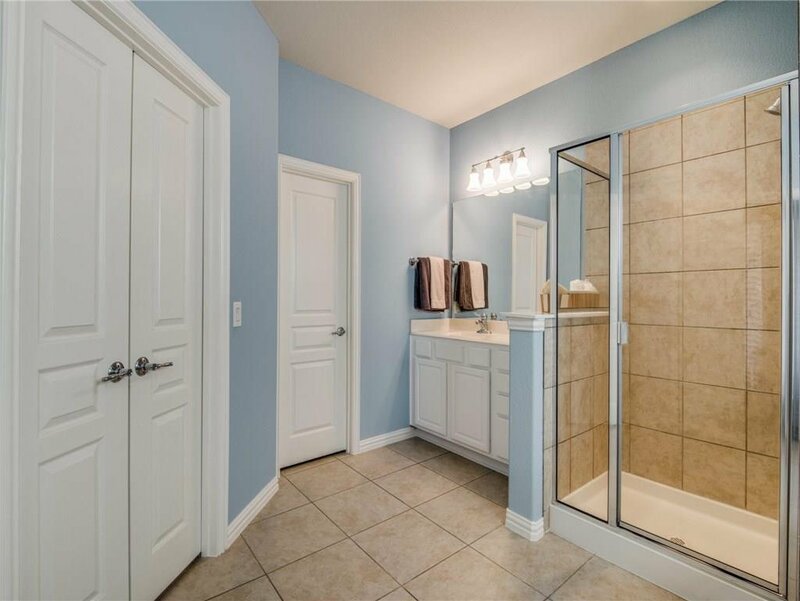 Oversized laundry room has sink and spacious countertop. 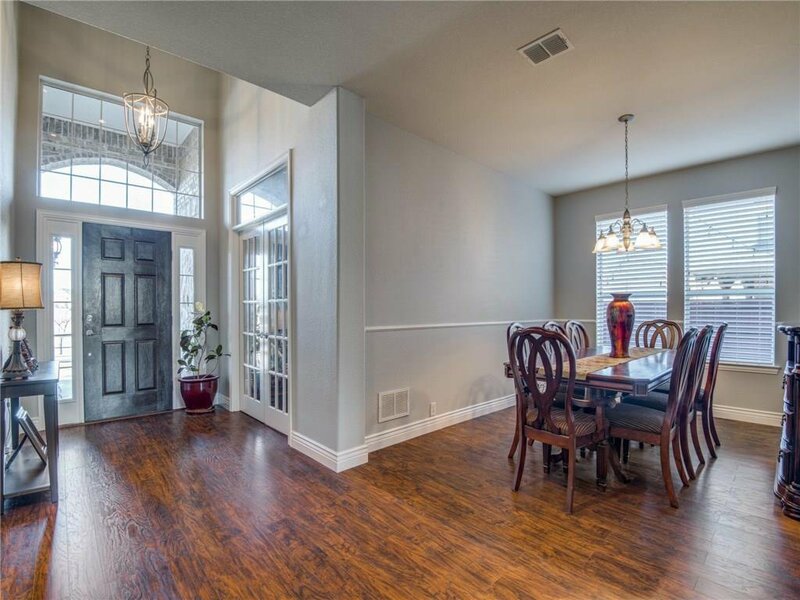 The office has posh built in bookshelves with lights and great chandelier. 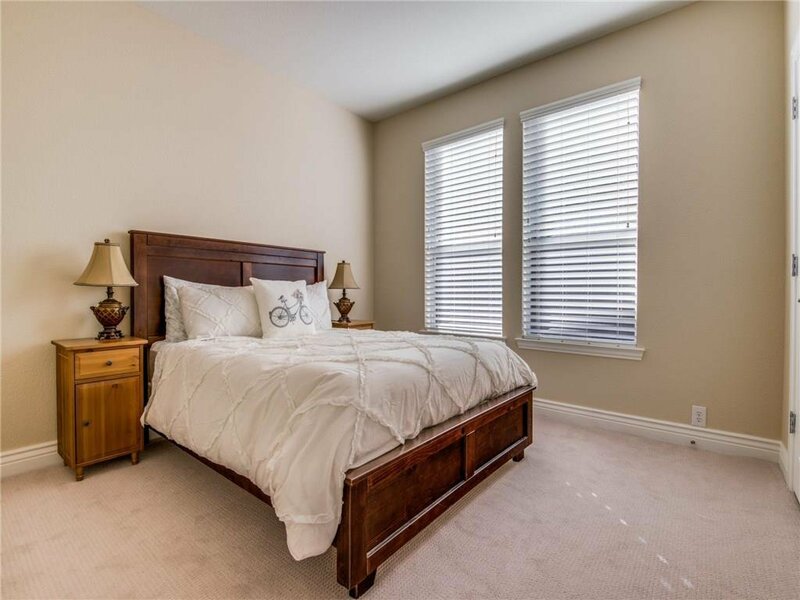 The Master bedroom has a private patio outside with a view of the lake. 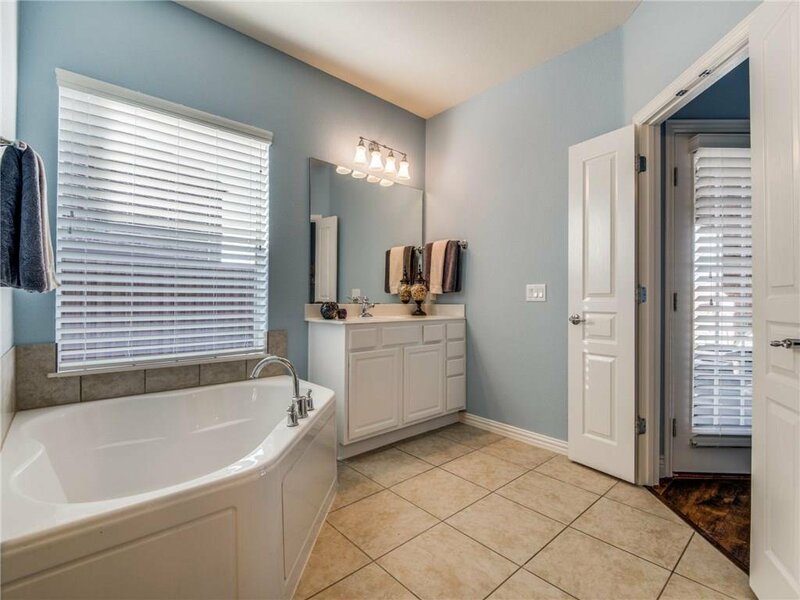 Spa like Master bath has separate vanities and large walk in closet. 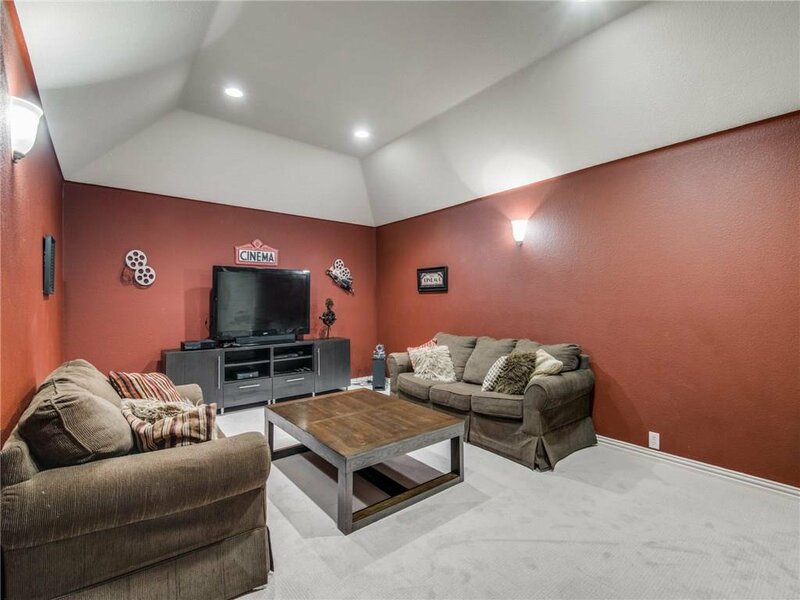 Upstairs are the other 3 bedrooms, 2 bathrooms, game and media room. 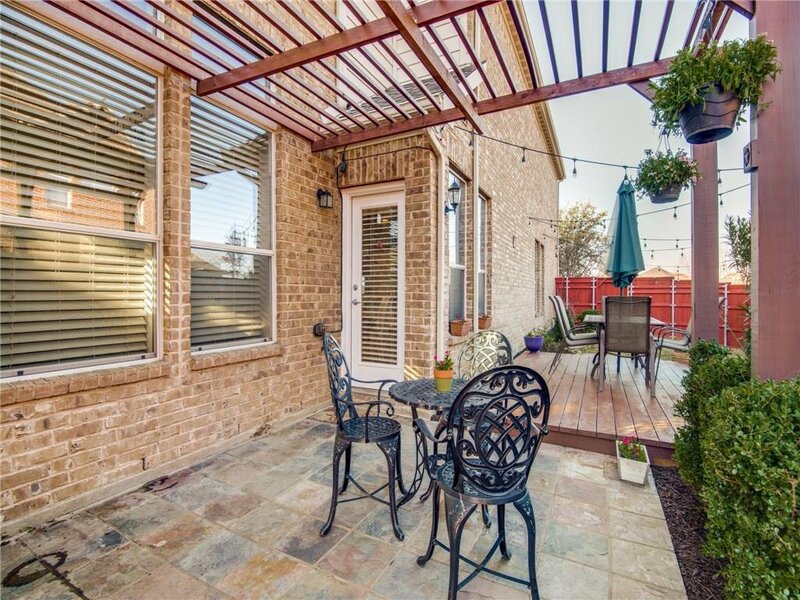 Backyard invites you to sit and relax with patio lights and pergola. 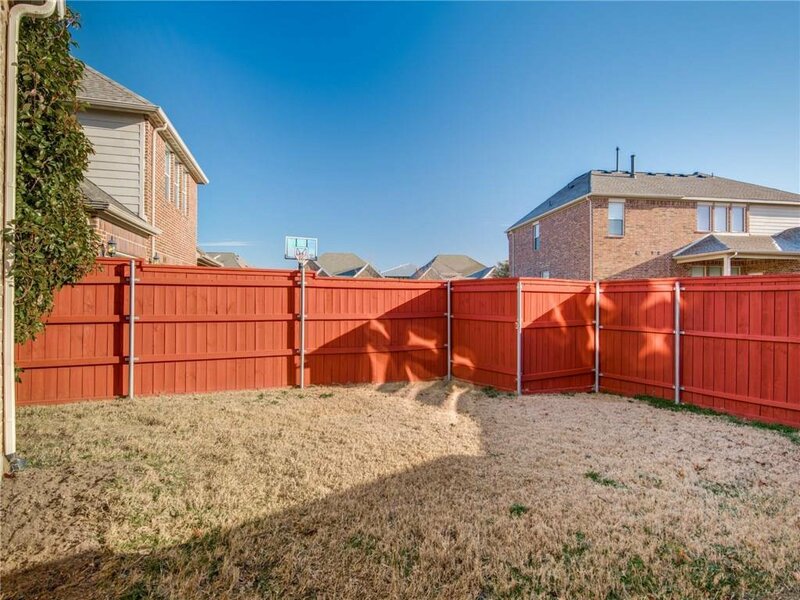 Yard has plenty of room for the kids and dogs to play!